The beginning of a new year… Most European cities calm down as the festive season is over and so many of us fall into the January blues… Do you know what’s the best way to get over them? Get away from the daily life! And let me tell you something – contrary to the rest of Europe – Barcelona is super lively in January – full of festivities, events and things to do & see! January is considered to be the coldest month of the year. We can’t complain though, when that “cold” is approximately 13 degrees Celsius, right? Together with the bluest and sunniest sky, barely any rain, cheaper accommodation, a tolerable amount of tourists, doesn’t January become THE month to visit the Catalan capital? The peak of the festive season here in Barcelona is the Epiphany, so the Christmas market is obviously still open up until the 6th of January – the arrival of the Three Kings and the presents they bring with them. Various stalls selling toys, handcrafted goods, traditional products, churros stands – find it all in the St. Thomas and Three Kings Fair in the Gran Via! If it seemed that children in Barcelona were not that excited about Christmas, it’s only because they will go crazy on the 6th of January. This is the day when they will jump out of bed in the morning to check what present the Three Kings (Reyes Magos) brought this year. Commemorating the arrival of the Three Kings, one of the biggest parades is held on the 5th of January – La Cabalgata de Reyes. 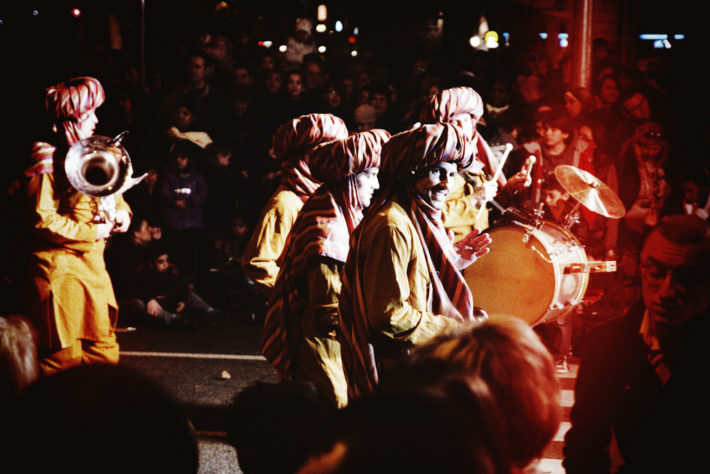 The parade starts when the Wise Men arrive at Barcelona Port Vell by boat on the 5th of January around 4:30 PM. After the mayor greets them, they proceed with the parade like no other here – a 3-hour long procession through the streets of Barcelona with colorful floats shooting out candies and presents. No wonder the kids love it so much! If you don’t know yet, people in Barcelona love festivities and almost every area in the city has its’ own. 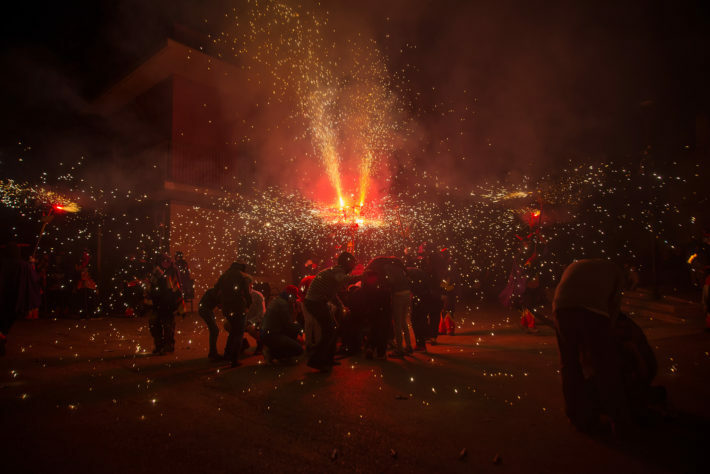 Mid-January is the time for Sant Antoni to celebrate and they make sure to go all the way! The origin of the festival comes from a small town on the island of Mallorca and combined with some of the Catalan traditions in Barcelona, this festival is a true show for everyone. Besides the Castells – human towers, Gegants – giants in the parade, bonfires, and Correfoc – firecracker-lit run, a very important date during this feast is the Saturday following St. Anthony’s feast day (January 17th), when Festa Dels Tres Tombs takes place. The patron saint of animals is commemorated by a horse-drawn parade, which roots go way back to when farmers from nearby villages used to bring their animals to Barcelona to be blessed by the priest. The tradition is still up and running, though nowadays it’s not so much about horses and donkeys, but pets like cats and dogs! Just after the Epiphany is when the Rebaixes (Catalan) or Rebajas (Spanish), or simply the post-holiday season sales begin. From the smallest boutiques to the giant well-known brands – all of them participate and offer huge discounts and deals. You should consider doing some shopping while you are here – as prices drop more and more each week of January, you will surely find worthy catches! Want to have a crazy good 2019? Better start it with a bang. El Primer Baño del Año will do just right. There is no hidden meaning here, the First Swim of The Year is literally a bunch of people enjoying the chilly Mediterranean sea on the 1st of January. Are you brave enough? If not as a participant, it’s worth experiencing the event from the sidelines as a spectator. An adrenaline rush guaranteed both ways! Who doesn’t love a good market? 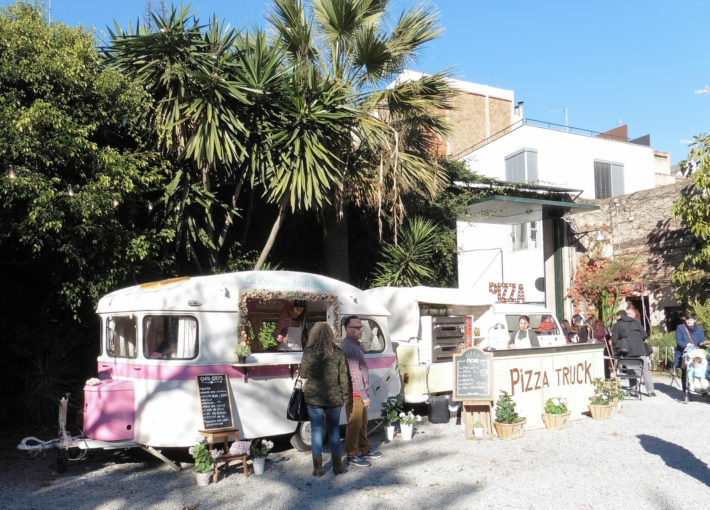 The gardens in Palo Alto industrial complex will hold a beautiful and lively market with all the hip necessities – various ethnic food stalls, single-origin coffee varieties, craft beer breweries, trendy fashion items and so on! 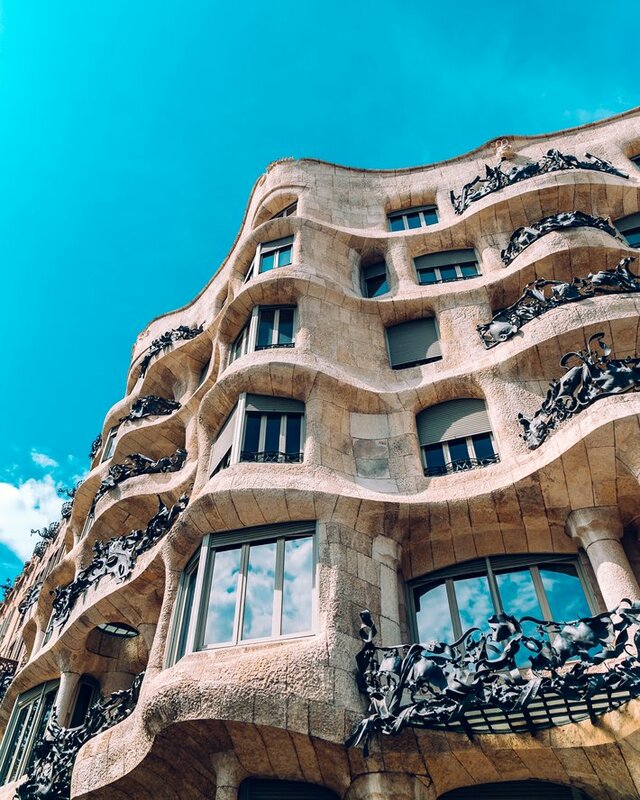 Still searching for accommodation for your January getaway in Barcelona? 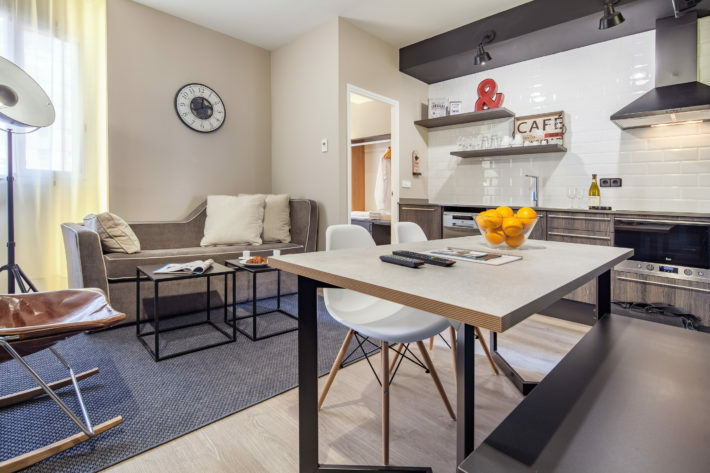 Take a look at the super comfortable and modern Cool Jazz 21 apartment!